Unpolluted, undiluted and undisputed, ASL, (ANALOGUE SEQUENCER LOOPS) is 100% pure analogue, using only classic analogue synths and hardware analogue sequencers - and superbly captured at 24bit sampling resolution. This superb virtual instrument, developed by ZERO-G and XFonic, is designed to complement the highly acclaimed 'Morphology' instrument. 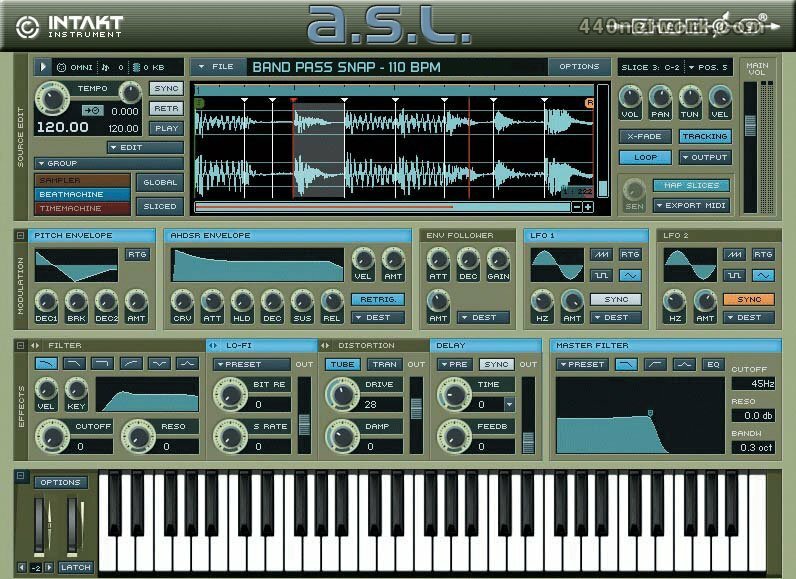 ASL is based around a uniquely inspiring new sample library from IAN BODDY, one of Europe's leading synthesists, featuring 1,000 loops and over 1.5 Gb of brand new material sourced entirely from analogue modular systems & vintage analogue synths and performed solely on hardware analogue sequencers. 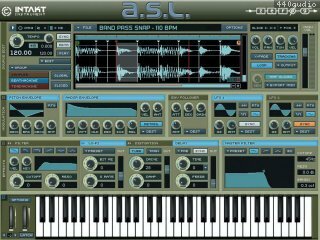 - Sound Library can also be loaded into other Native Instruments samplers including INTAKT and KONTAKT (version 1.5 or later), for even greater flexibility and more options for working with the material.